‘Angelika has really been enjoying her lessons with Jacob – she has made huge progress, and received an A in her recent exam. We are very thankful to Jacob'. 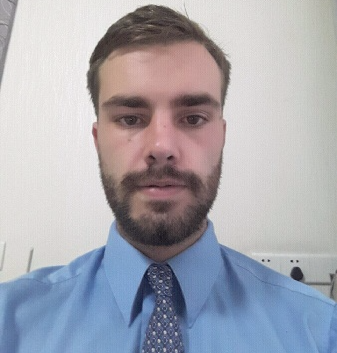 Jacob is one of UK Study Centre’s most internationally experienced tutors, having taught English as a Foreign Language in Uganda, Morocco and China, as well as Economics, History, Politics and Philosophy to pupils in the UK. Educated at Exeter College, Oxford and graduating with a degree in Philosophy, Politics and Economics, Jacob is a keen writer, having founded the infamous No Offence! magazine at Oxford, a publication aimed at widening debate amongst the student populace. Jacob also runs a blog that publishes political and social commentary. Jacob is a keen runner, regularly competing in 10 km races. Angelika has really been enjoying her lessons with Jacob – she has made huge progress, and received an A in her recent exam. We are very thankful to Jacob for his dedicated and enthusiastic tutoring. Thank you! Jacob has been the most amazing, and inspiring tutor for my daughter for her A-Level Economics. I cannot recommend him highly enough for his total dedication and ability to tutor in an encouraging and confidence-building way. Anna seems to really enjoy their sessions and even asked for more sessions over the holidays. I really believe Jacob is going to push her toward A* in her final exam this year. Jacob has been helping my son with his personal statement this year. His feedback and comments were very valuable, and I found Jacob to be a very conscientious and knowledgeable tutor. He has given my son so much helpful information regarding the application process and interviews that now my son feels much more confident. Jacob put in a lot of effort and we are now waiting for the last offer from university!